God has led Matt and Heather to serve His people in SE Asia in creative entrepreneurship. 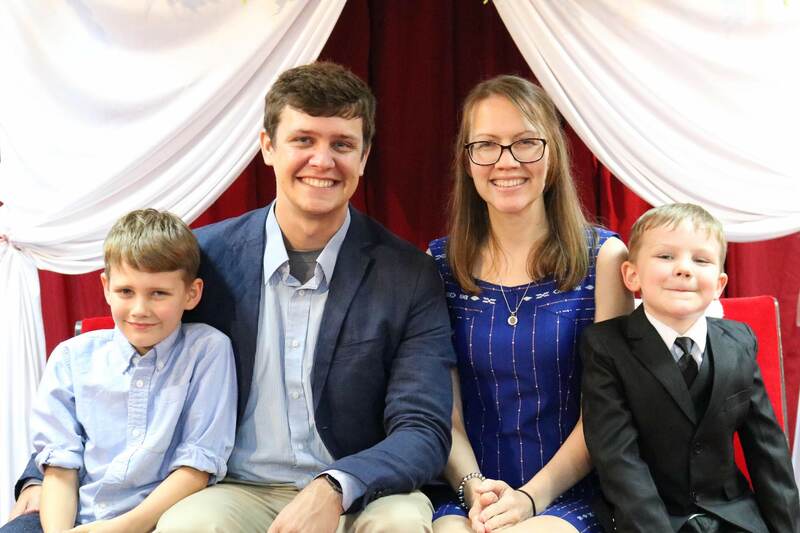 God has led Matt and Heather to serve His people in SE Asia in creative entrepreneurship. Their desire is to see the Body of Christ thrive holistically; to see the Church in SE Asia not be shackled by poverty and oppression but to know the freedom Christ offers. They arrived in Asia in 2008. Matthew co-founded and serves as President of an entrepreneurship school in SE Asia that exists to alleviate poverty and reach the country with the Good News of Jesus through micro-enterprise development. They target three groups: Youth - building capacity in a country with few job opportunities, few educational opportunities, and no capital; Christian lay people - starting successful businesses that employ the local community and increase the influence of Christ in their surroundings; And church planters - sustaining ministry among unreached peoples. Matt and Heather both graduated from the University of Illinois at Springfield; Matt in Political Science and Heather in Communications. Matt also completed an MA in Economic Development from the Patterson School of Diplomacy and International Commerce at the University of Kentucky. They are also St. Louis Cardinals fans with two vibrant boys, a love of pizza, and a shared passion for praise and worship.